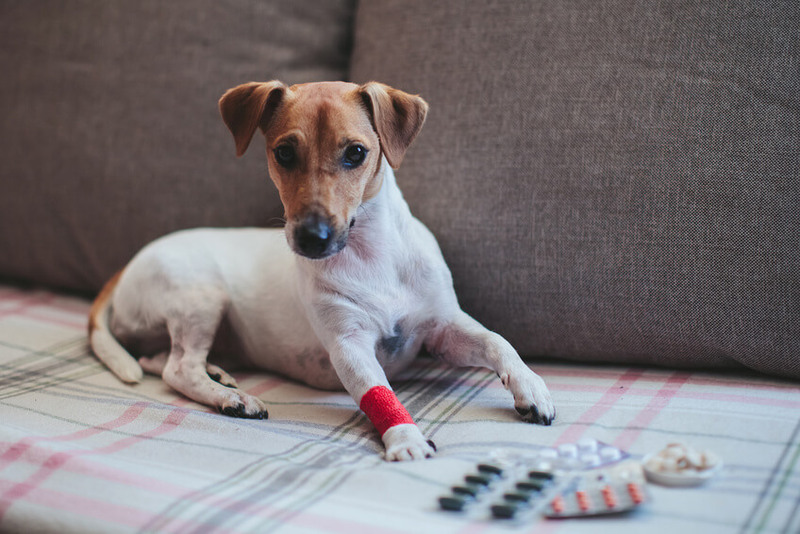 Even if your dog is healthy, keeping him that way will occasionally require some medication in the form of pills. Unfortunately, we can’t reason will our pooch and convince him his regular worming tablet is for his own good. We can’t hand him the pill and a glass of water and expect him to wash it down. So how do we get our dogs to take their pills without spitting them out! The best way to get your dog to take his medicine is to disguise it in food he loves. Depending on the size of the pill you may need to half it and disguise each half. Simply push the pill inside the food – ideally fully encapsulate the pill so your dog can’t see or smell it. There are some medications that can’t be broken or that shouldn’t be taken with certain foods such as cheese or any food at all so, check with your vet before hiding the pill in food and/or break it up. Hotdogs – most dogs won’t turn down hot dogs. Meatballs – whether your dog likes raw or cooked meatballs just insert the pill inside. Cheese balls – roll up your dog’s pill in slices of cheese and close the edges so the pill is undetected. Canned dog food: Using his favourite make a ball and hide the pill inside. Baby food (without onion), peanut butter and cream cheese are good options for camouflaging a pill because they have a strong smell that can mask the medication. However, this option can be messy! You could also use a ‘pill pocket’ – hollow treats that come in different flavours. You can buy them online, at your vet surgery or local pet store. Fake-pilling – the dirty trick! Once you have found a food your dog will sell his soul for, hide the pill inside that food but also prepare additional treats of the same food that are pill-free. Give your dog his first pill-free treat, followed by another and then the treat with the pill inside and finally another pill-free treat to finish. It’s a good idea to vary the number of treats you give at each fake-pilling session as well as the order in which you give the treat holding the pill, so your dog doesn’t learn to predict which treat to avoid. Also consider feeding the treats quickly so that your dog is so busy wolfing down his favourite snack and enthusiastically looking for the next one that he won’t realise one of them had something extra inside. What if these treats don’t work or your dog learns there’s a pill inside or he cannot have food with the medication? Then you need to learn how to push the pill down your dog’s throat. I’ll summarize, but here is a great article that shows you exactly how to do it. To do this successfully you need to open your dog’s mouth – this is easiest to do if you open his jaw from the back of his mouth. Using your finger push the pill as far back in your dog’s throat as possible so he can’t spit it out. If the pill doesn’t have a slippery coating, dip the pill in water or a little butter seconds before putting it down his throat as this will help it slip down. Reward with a tasty treat straight away so as to encourage your dog to swallow. You can make it relatively stress-free. If you are unsure how to do this properly then ask your vet to show you how. It’s best not to rely on internet videos or photos.